Louis CK is definitely one of the greatest comics of our generation. I just completed watching the third season of Louis (which is running on the FX network). 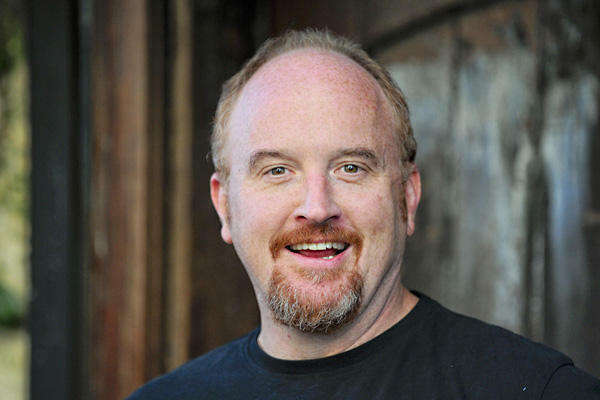 Louis CK is not only the star of the show but he is also the writer, director, editor, and musical director. The semi-autobiographical premise of the show is about the trials and tribulations of a middle-aged stand up comedian who is lonely and out of shape. Each episode is only twenty-two minutes in length but Louis CK manages to pack them with poignancy, humor, sadness, and surrealism. The character Louis is honest, vulnerable, and socially conscious. I simply love him. The girls playing his two daughters Lily (hilarious) and Jane are both incredible young actresses. I think this show goes above and beyond anything in the canon of fictionalized autobiographical sitcoms that have come before it (specifically Sienfeld & Curb Your Enthusiasm). Louis CK is an auteur like Woody Allen but he doesn’t live in a bubble like Allen and he depicts his life and shows a vision of New York City that is both real and accessible. A nice perk is that there are often really great guest stars that sometimes appear in multiple episodes. This most recent season there were outstanding performances by David Lynch, Parker Posey, and Chloe Sivigny to name a few.